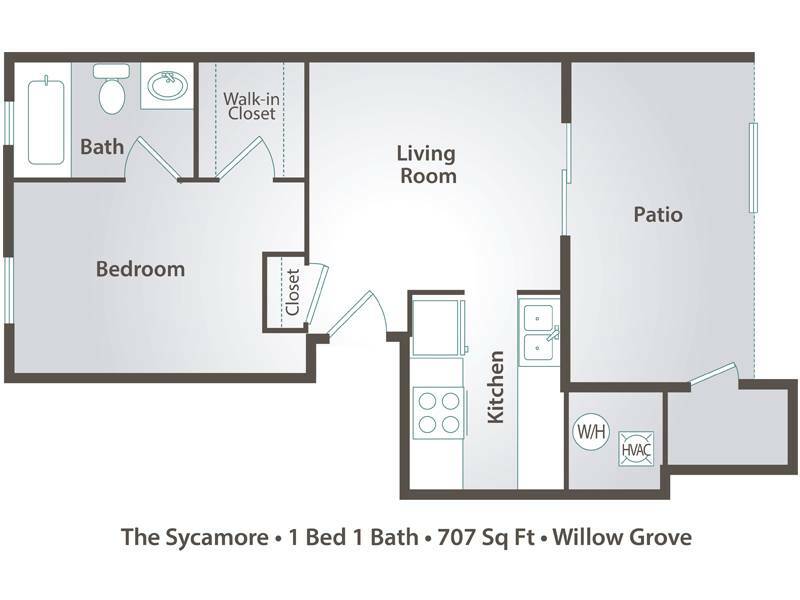 The Sycamore is our junior one bedroom floor plan that sits on our third story like a city high-rise. Complete with an oversized patio and extra storage, this floor plan features the perfect remodeled kitchen with granite style countertops. This floor plan is perfect for anyone looking for that city feel of living in a high rise, modern apartment home for the right price.